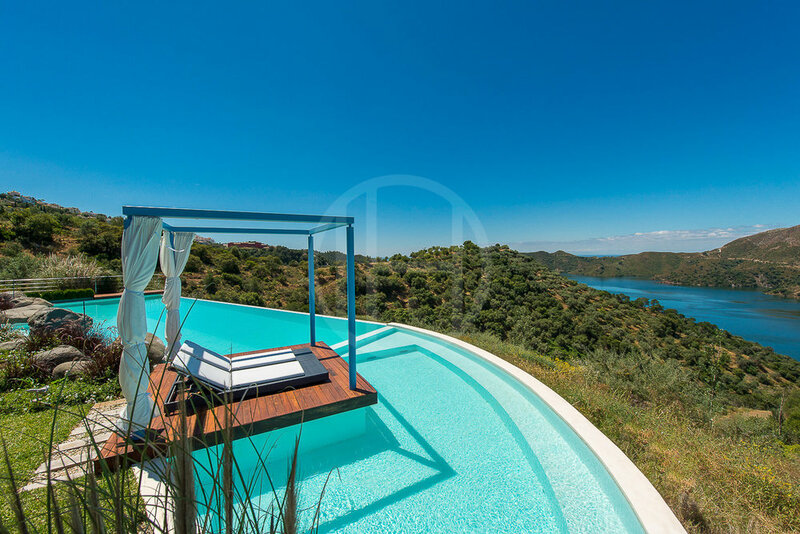 Excellent private villa in secluded lakeside location enjoying fantastic views. 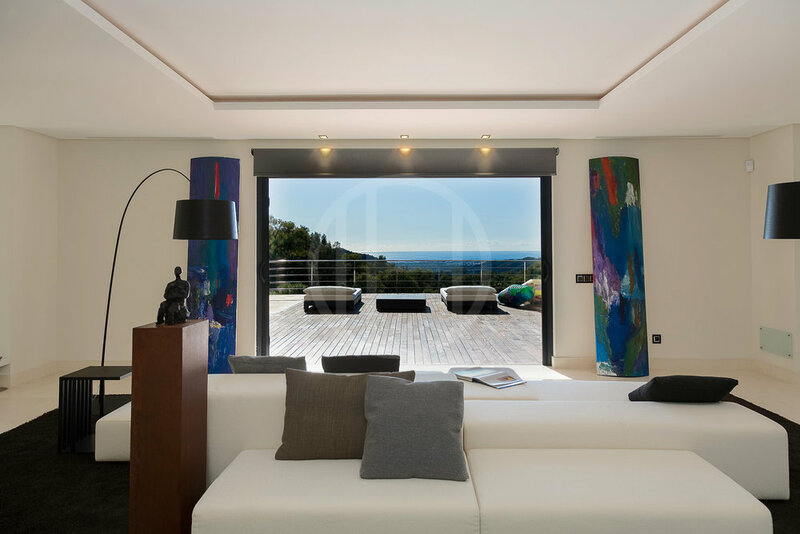 This south west set villa has been built with outstanding quality specifications and is a perfect family home for a tranquil way of living with impressive entertaining possibilities, yet still only 10 minutes drive by car from all amenities, schools, the centre of Marbella and Puerto Banus. The access level consist a large hall leading to the large Master suite with oak wooden floors and a fantastic bathroom with lovely private views and a further bedroom with en suite bathroom. On the open-plan living garden level, the delightful living and dining room with a nice fireplace, opens up to the large stunning covered and open terraces. The fully fitted designer kitchen is a dream for anyone and has access to the terraces and the lovely garden. The excellent choice of a light Limestone on this level helps the natural light float in the main living areas. A bedroom suite and a guest toilet completes this level. The basement consists of a play/media room, two en suite bedrooms, a wine cellar and a laundry room. The lovely garden leads down to the incredible infinity pool with its wooden sun-all-day bathing and relaxing deck. An impressive home and one-of-kind type residence. 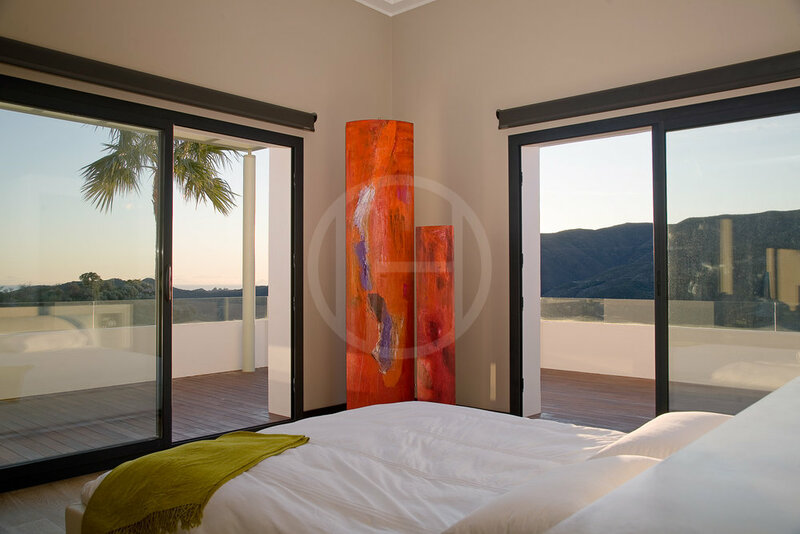 Istán, is a small white village set high up in the mountains and 15km inland from Marbella. 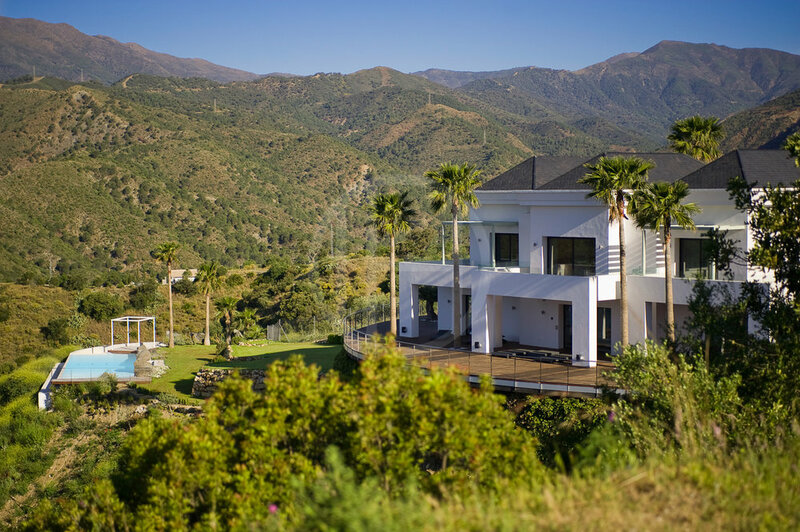 The road upwards from Puerto Banus and Marbella, has several magnificent country style properties, a few contemporary villas, and a small number of townhouse and apartments complexes that all enjoys impressive views of the Mediterranean sea, the Istán lake, and the mountain range of Serranía de Ronda.